Cincinnati, thanks for having fun with us! 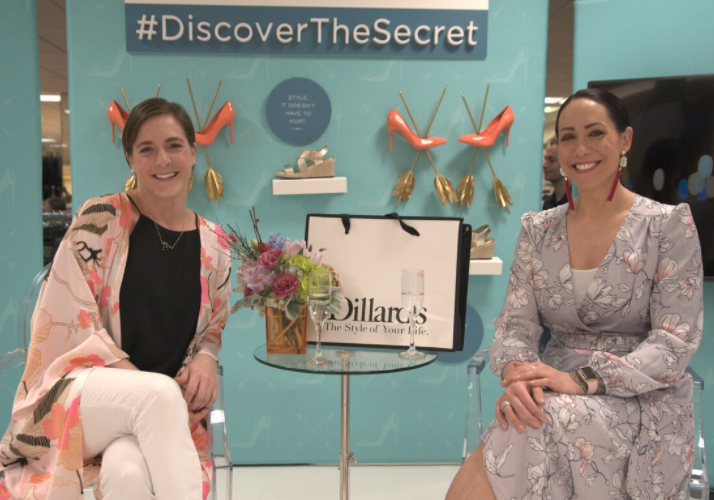 We made the fourth stop of our #DiscoverTheSecret event tour with InStyle and style expert Jene’ Luciani at Dillard’s in Kenwood Towne Centre. 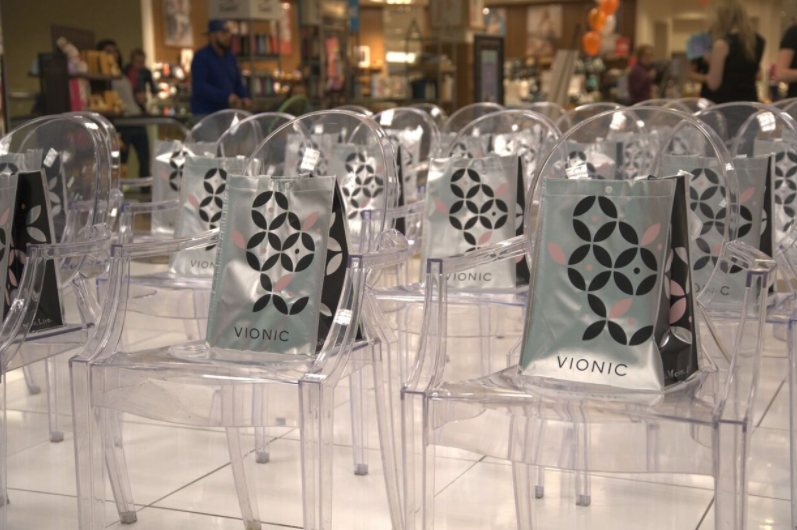 Guests enjoyed makeup touch ups, giveaway goodies and learning about the newest style trends for spring. Want to get on the list for one of our upcoming events? Submit your RSVP here, and check out some of our favorite snapshots of the event. Special giveaway bags await the event-goers. Our lovely hosts for the day, ready to discuss all things style and spring. 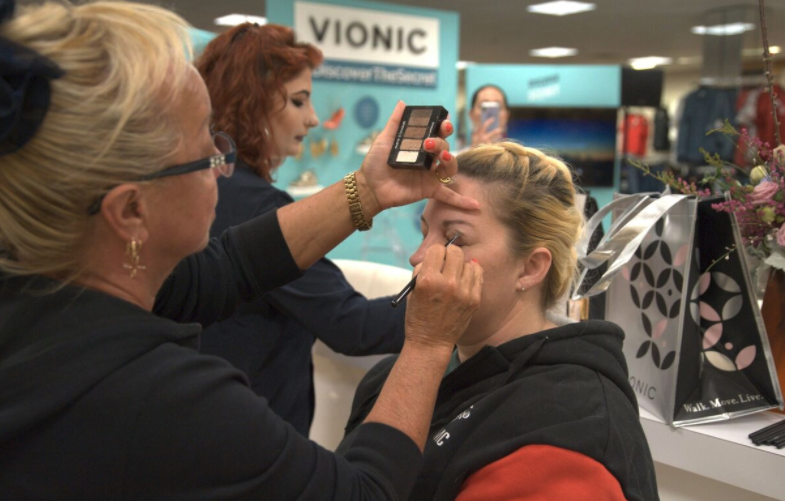 Guests enjoyed a fresh eye makeover at our complimentary makeup bar. Some of our new spring styles hit the catwalk, including our Ainsleigh Wedge in champagne (left) and our Midi Perf Sneaker in pink (right). 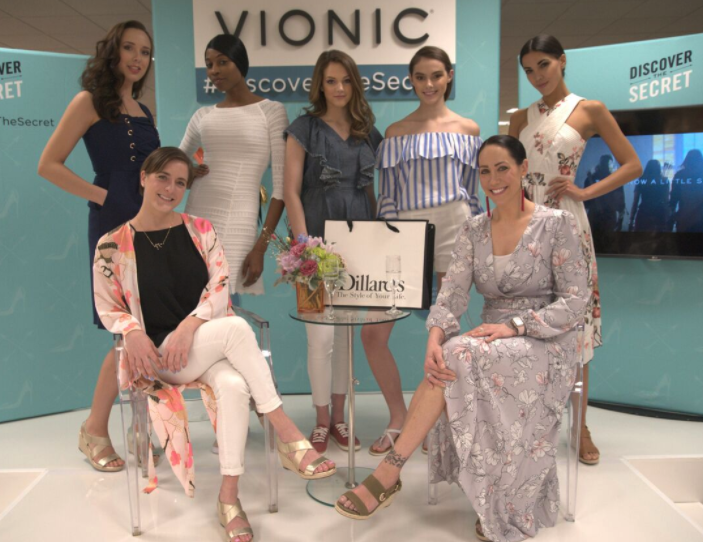 Our hosts and models ready to show off our spring collection. Want more #DiscoverTheSecret? Check out what’s new here! Vionic shoes are the only shoes I can wear and not be in terrible pain by the end of the day. Love them! Come to Cleveland!!! You have a store in Crocker park and I would LOVE to attend one of your events!